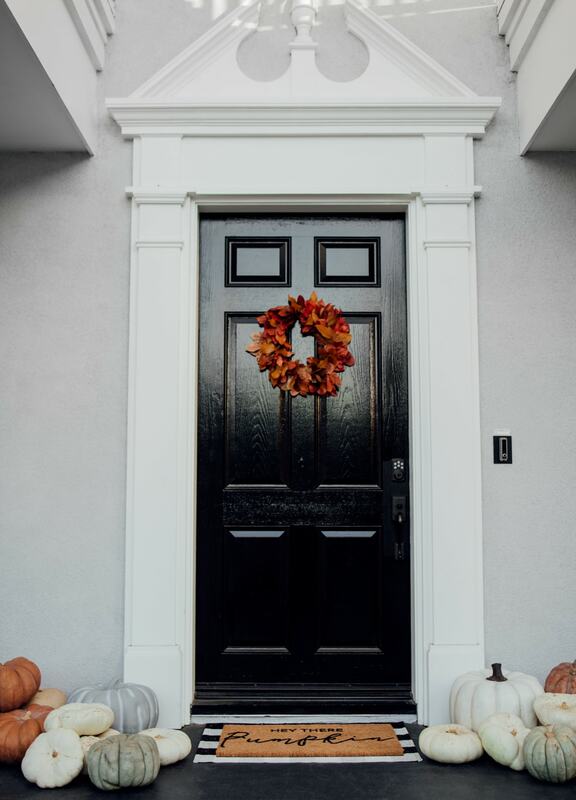 It's no secret that the front porch is one of my MOST favorite parts of our house! 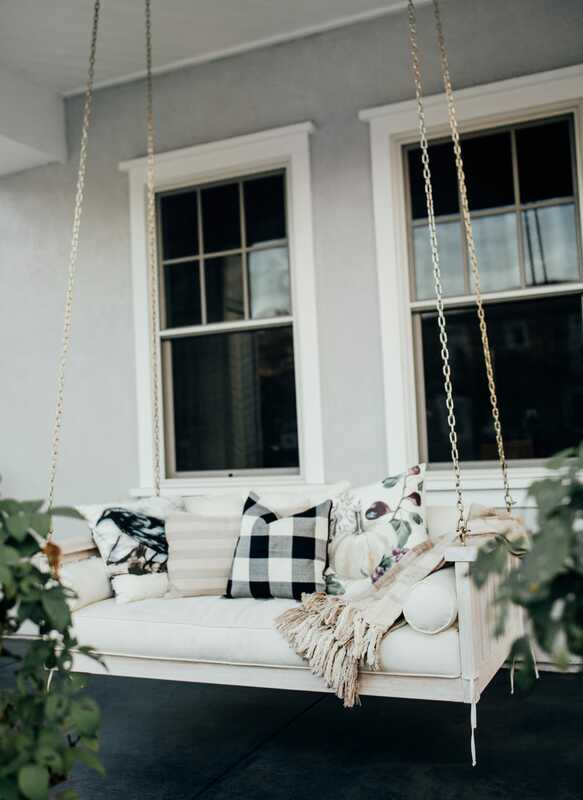 I absolutely love relaxing on our porch swings at the end of the day. Especially now that the weather is cooler! It's the perfect place to snuggle and watch the stars come out. 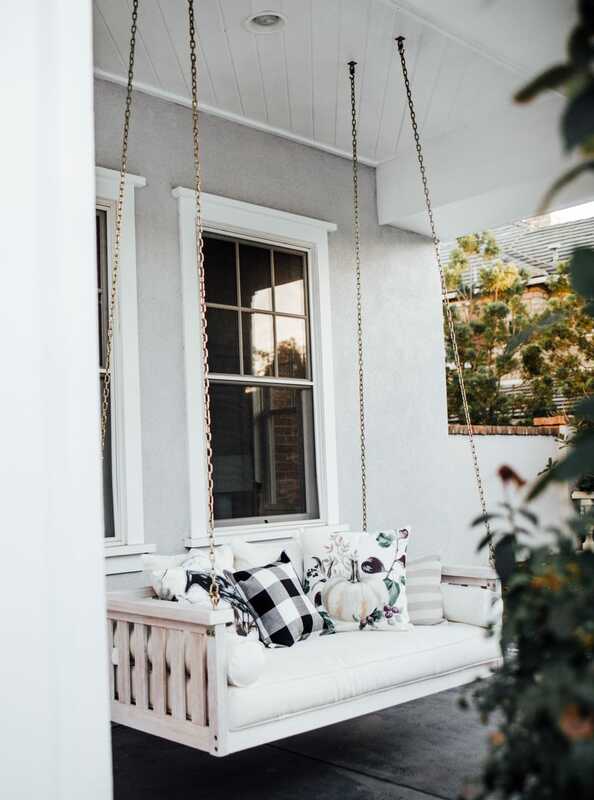 The porch is also really fun, because it's GIGANTIC making it an unexpected bonus space to decorate! 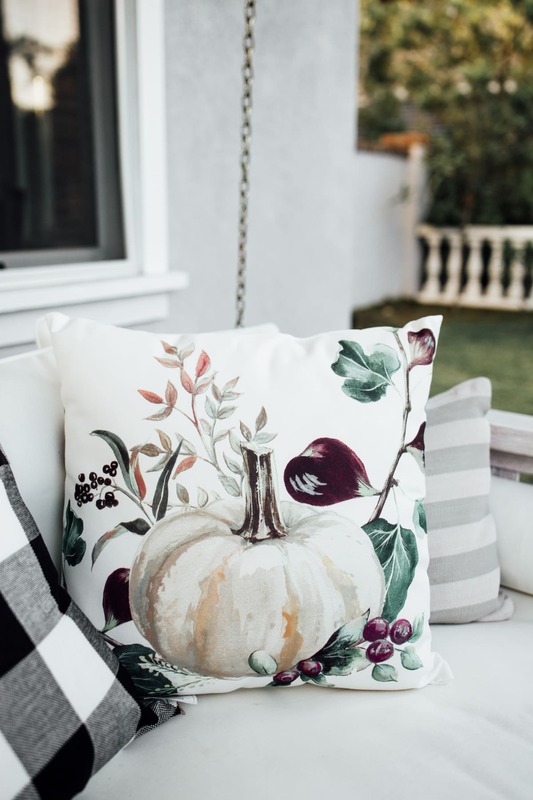 Who knew there was SO much cute Fall porch decor? 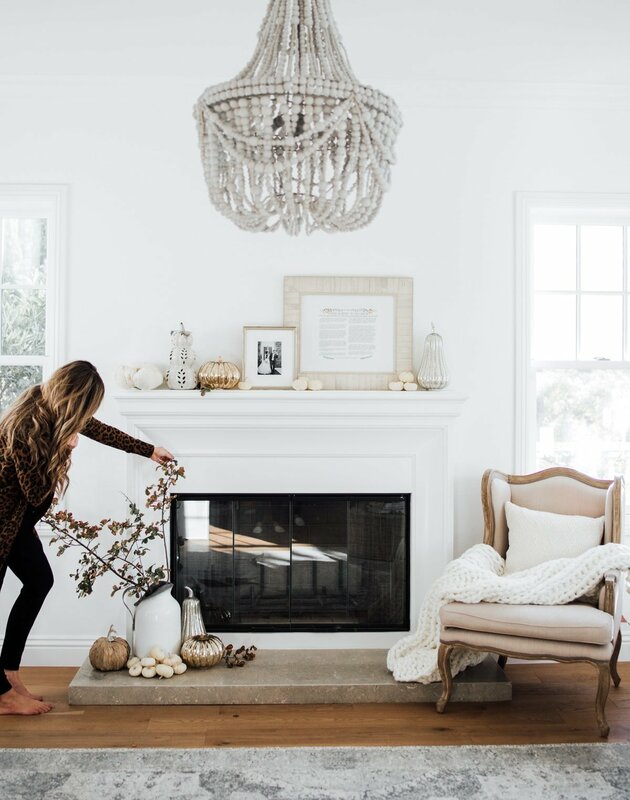 I seriously love how this space turned out. 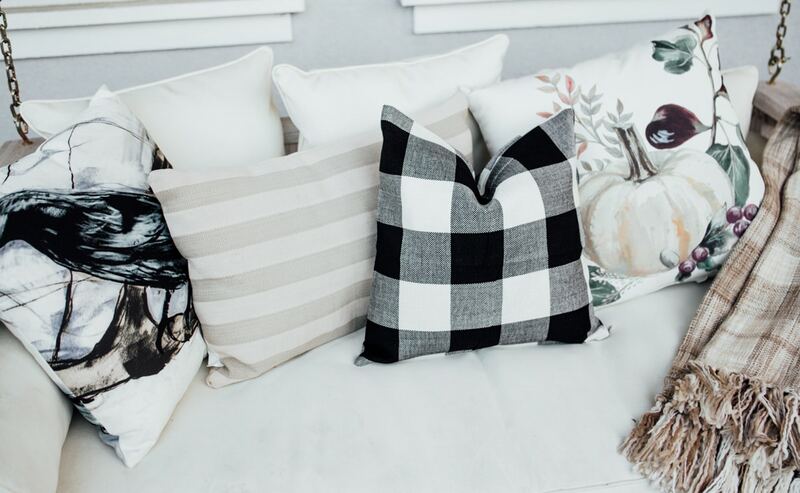 Plaid is one of those patterns that is just so Fall. 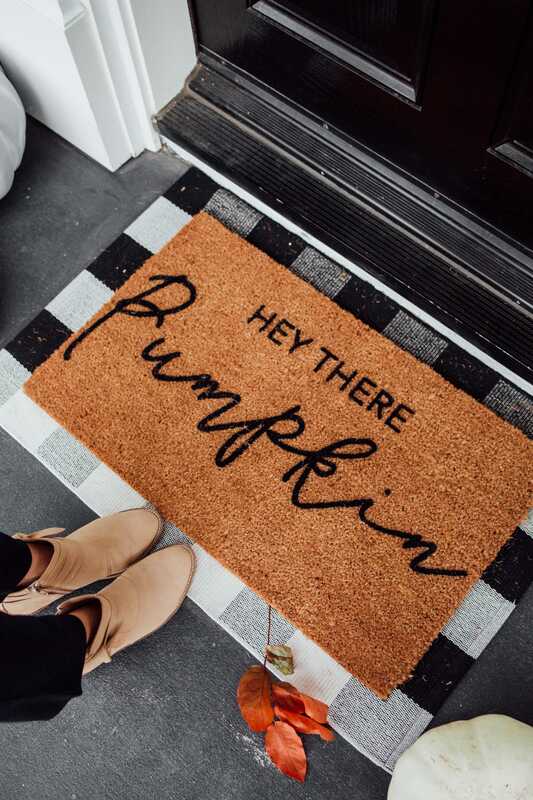 Totally dying over how darling this plaid porch rug looks layered with this fun “hey there pumpkin” doormat that's now on sale!! 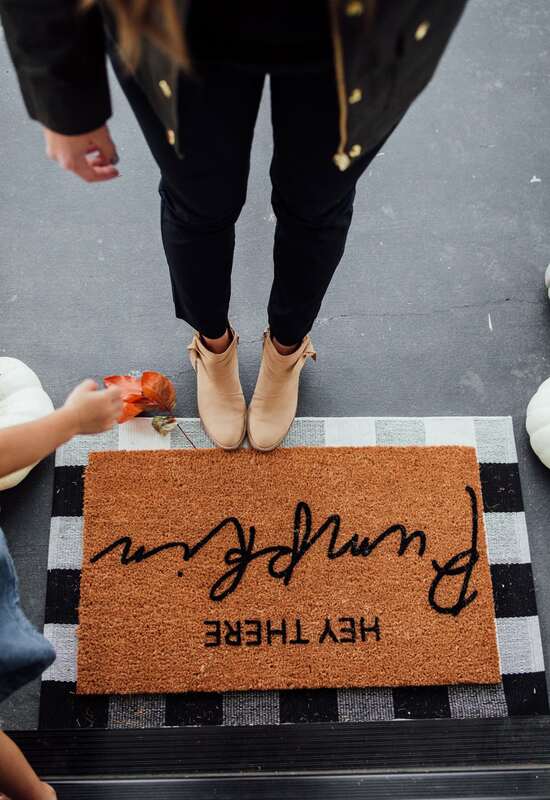 The rug is super high quality and should hold up really well to the masses of trick-or-treaters, holiday visitors and Amazon deliveries headed our way this season! 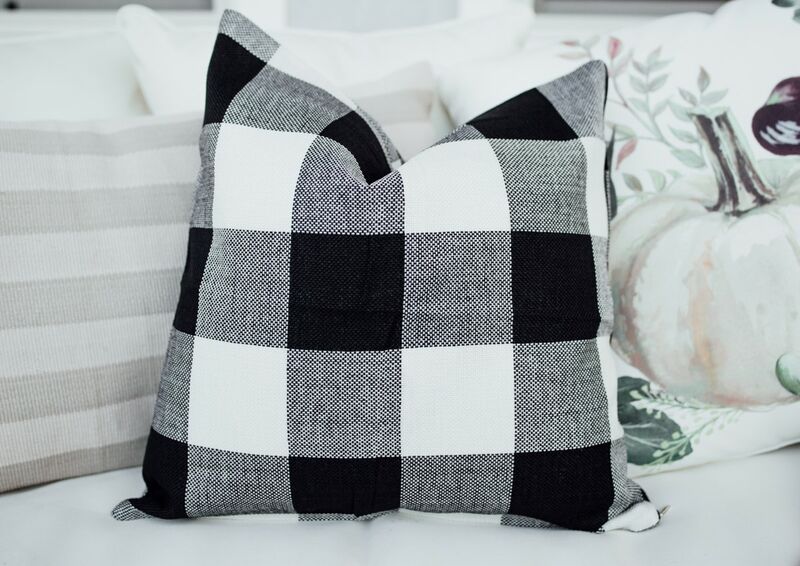 These plaid pillows are practically perfect in every way! They're super soft and the black totally pops on the white swings. AND hello, they're $11.49. SCORE. 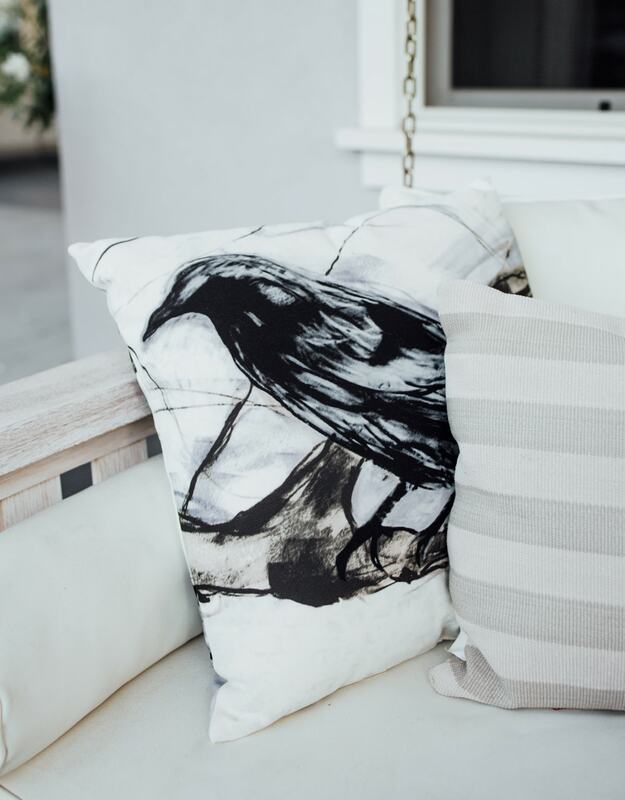 I'm so bummed that the raven pillow is sold out! This one is pretty similar and ON SALE! 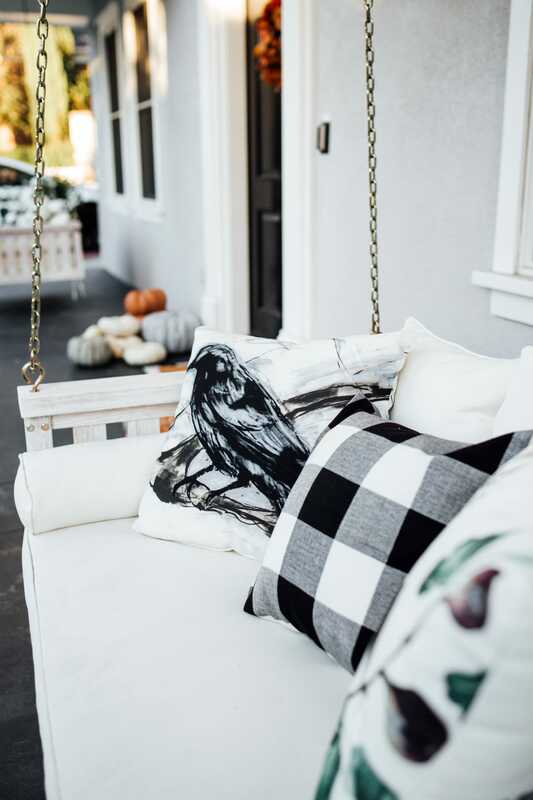 The porch swings needed in on the pumpkin action and these pillows could not be more perfect! This exact one is sold out, but this one is similar and super cute! 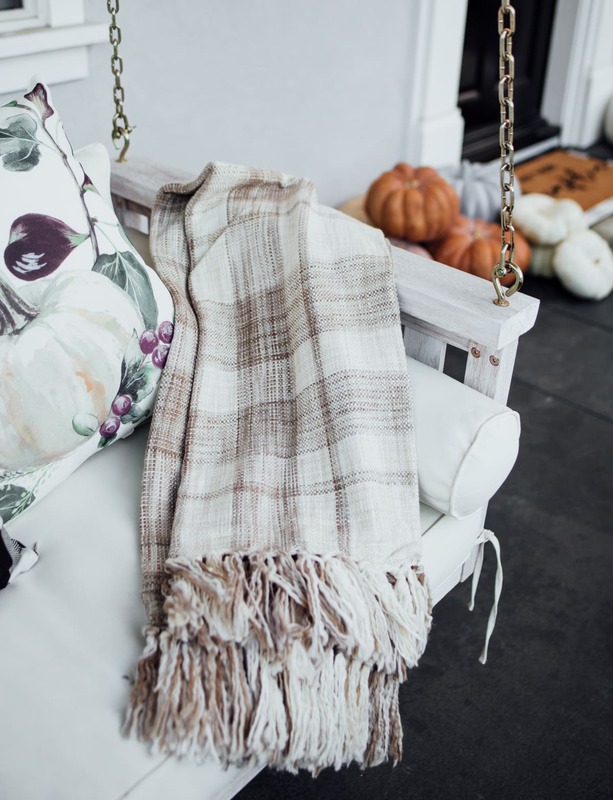 This cozy throw pairs so well with Fall nights and a cup of pumpkin spice hot chocolate. Yum! And it's on sale right now for $34 instead of $49. Can it even be Fall without pops of pumpkin? 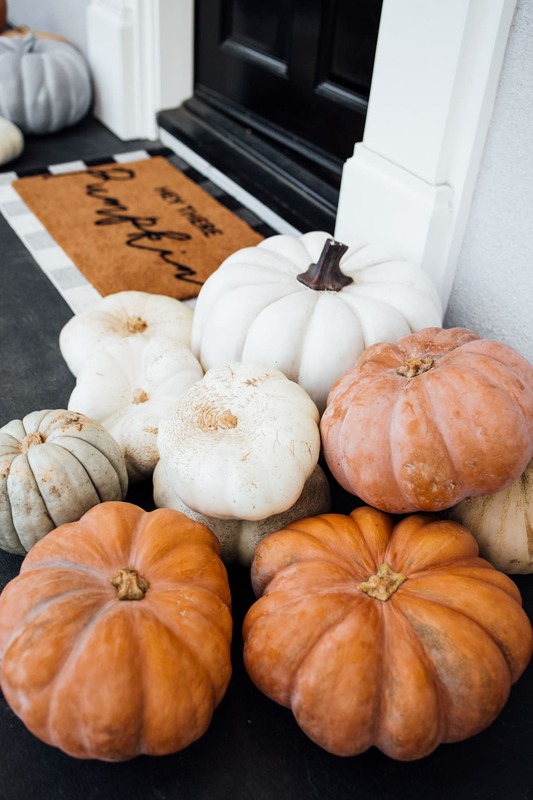 I'm pretty sure they're a fall porch decor staple. 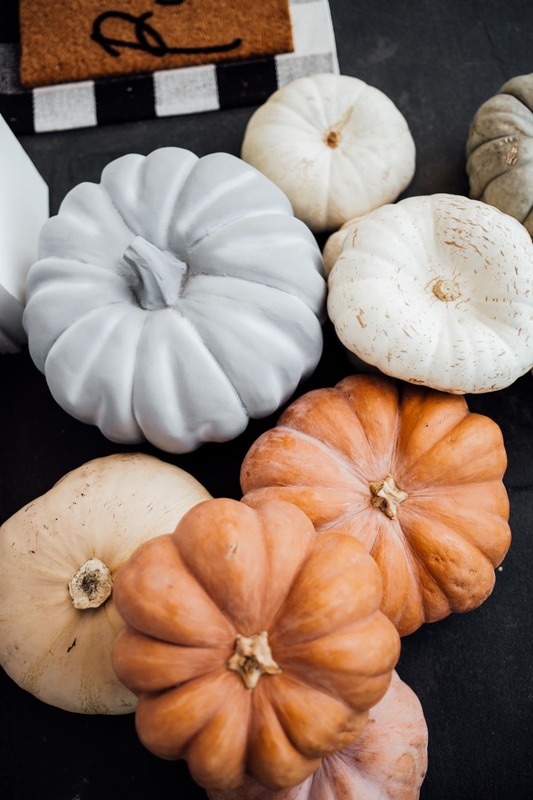 I know orange pumpkins are the traditional choice, but these white pumpkins from Trader Joes are total #squashgoals!! 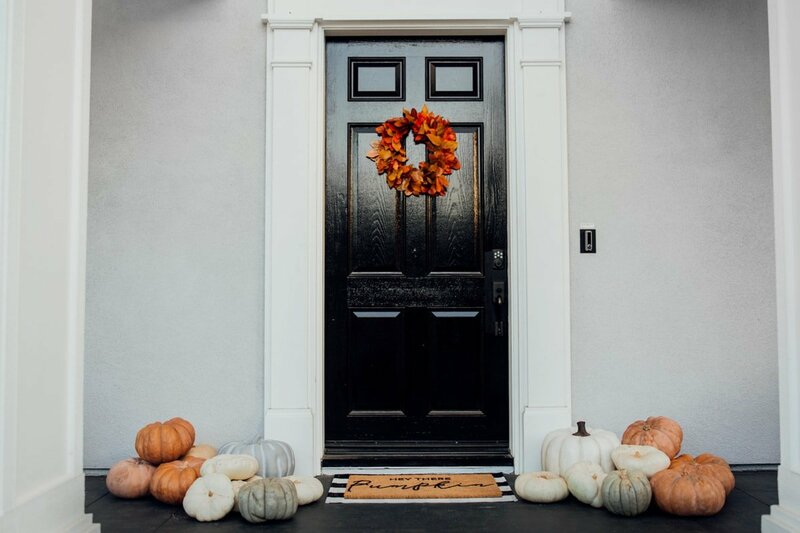 I thew in a few other fantasy pumpkins from a local garden store and layered them around two large faux pumpkins that I found at TJ Maxx and I'm totally giddy over these gourds! 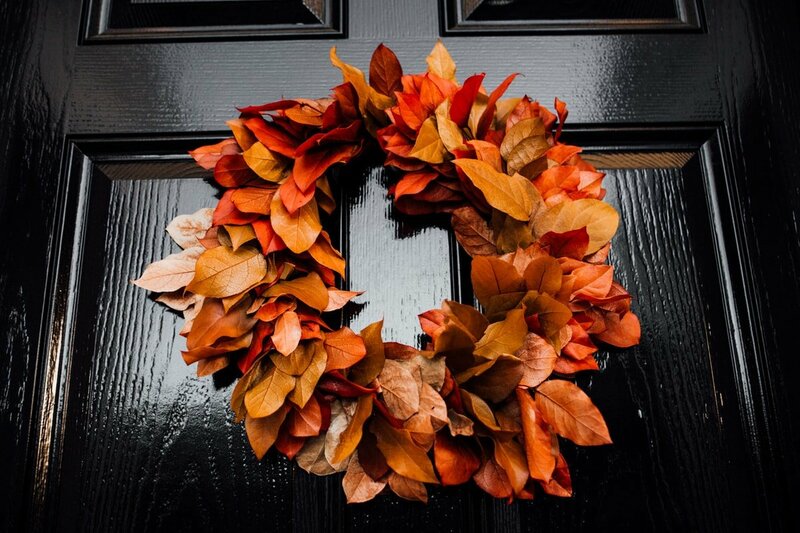 The leaf wreath (say that five times fast!) 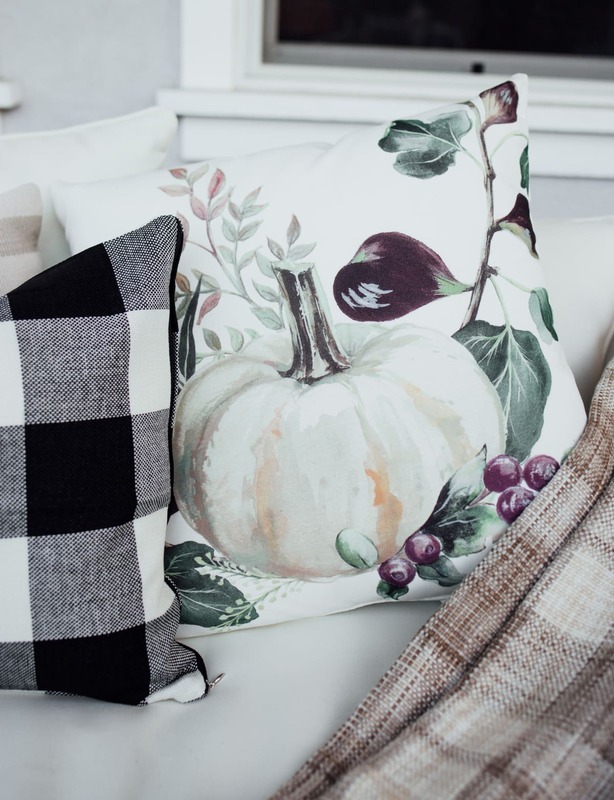 from Trader Joe's was the final touch for a fall-bulous fall porch! 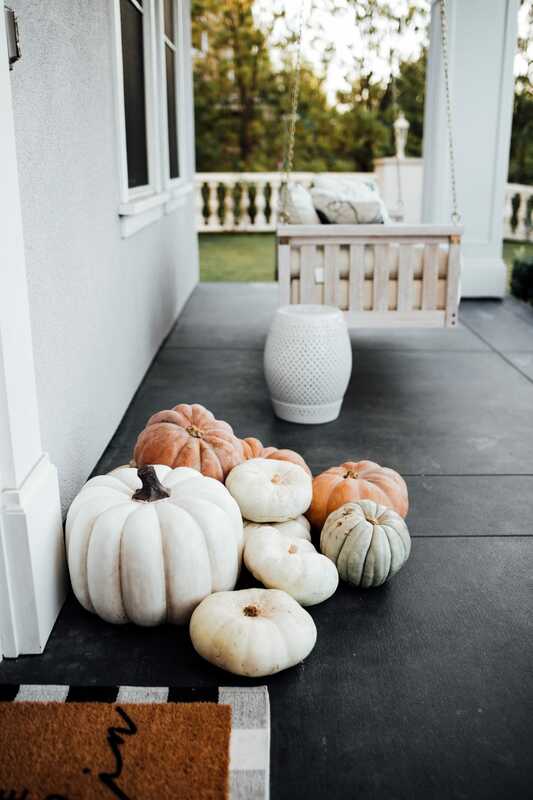 We rounded up all the cutest Fall porch decor to spice up your outdoor spaces this season! The plaid is 23.6 x 35.4 and the “Hey there pumpkin” mat is 18X30. 🙂 They are both linked in the post!